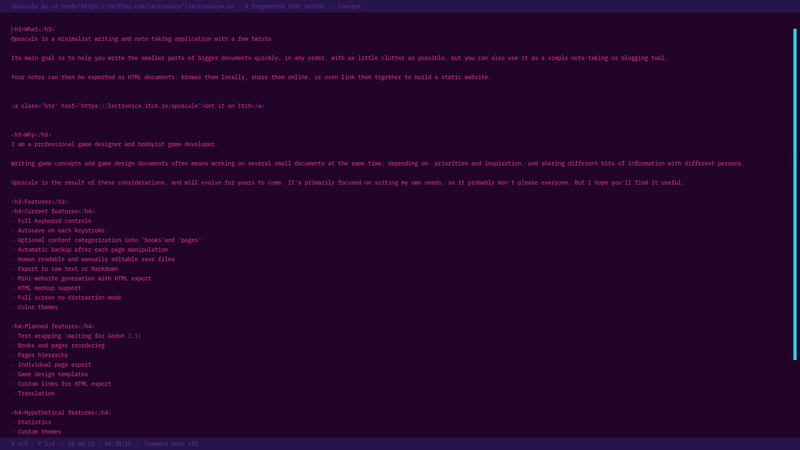 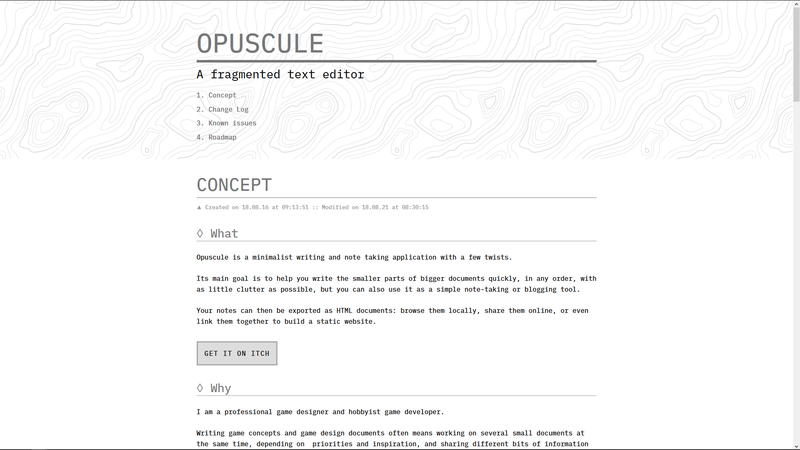 Opuscule is a minimalist writing and note taking application with a few twists. 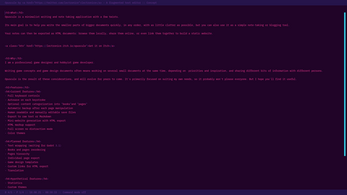 Its main goal is to help you write the smaller parts of bigger documents quickly, in any order, with as little clutter as possible, but you can also use it as a simple note-taking or blogging tool. 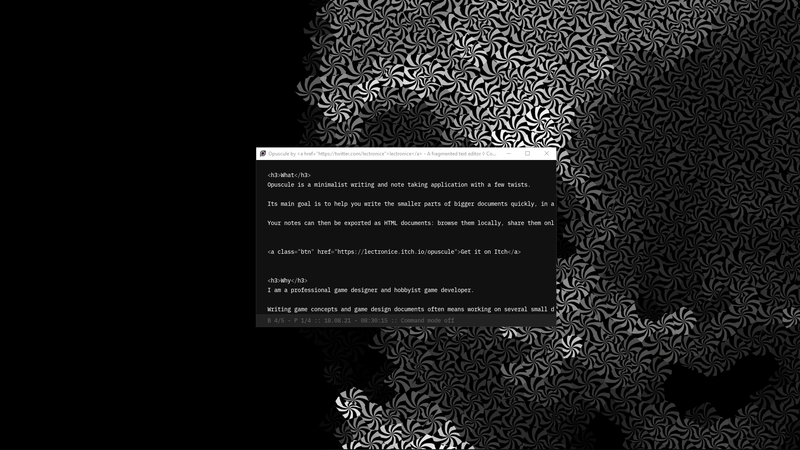 Your notes can then be exported as HTML documents: browse them locally, share them online, or even link them together to build a static website. 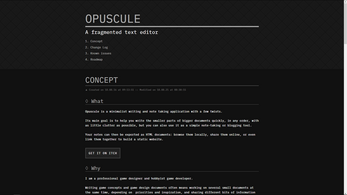 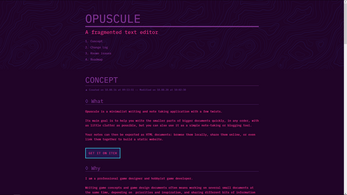 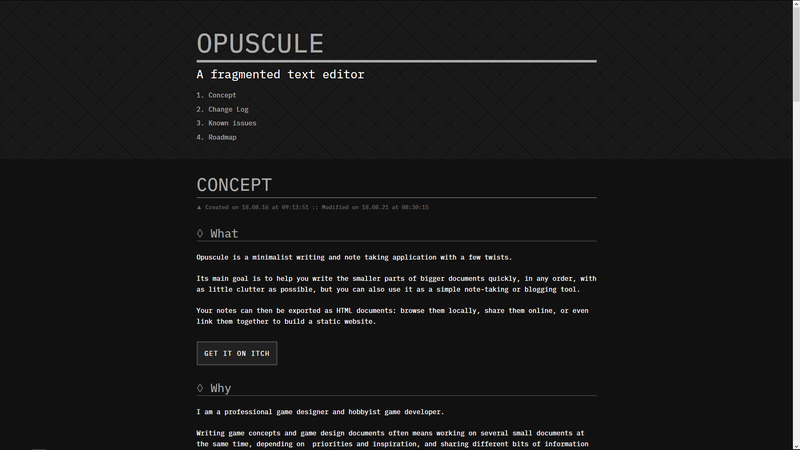 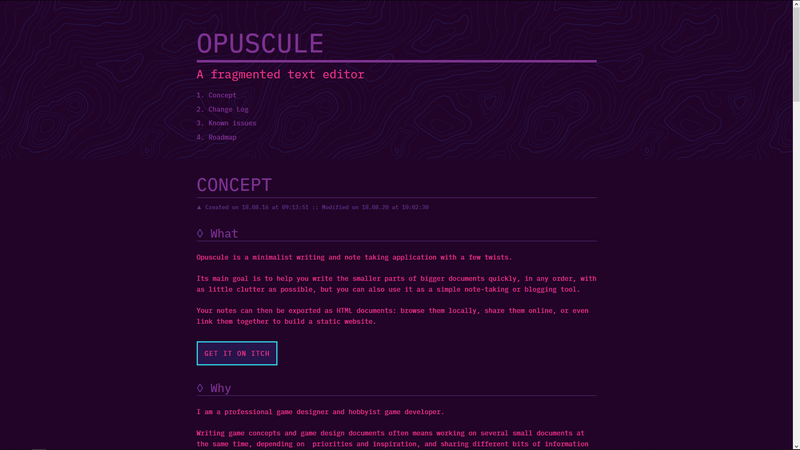 For more information, have a look at Opuscule's website, which is generated with Opuscule. 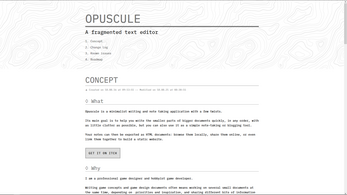 - Optional content categorization into "books"and "pages"